It’s a frequently used term in the jargonistic world of European policy. But what does the buzz-phrase “structural reform" actually mean? It’s often used to describe a pragmatic policy agenda in the aftermath of the financial and debt crises. But why is “structural reform" sometimes seen as controversial? In the latest episode of 'Real Economy', we delve deeper to find out more. Each year, the Commission undertakes a detailed analysis of each country's plans for a budget, macroeconomic and structural reforms. It's called the European Semester. It then provides EU governments with country-specific recommendations for the next 12-18 months. And then there is also the Structural Reform Support Programme (SRSP). Its current budget stands at €222.8 million for 2017-2020. For 2019, when the EU economy is expected to slow down to 1.5% growth, the SRSP will provide support to 26 Member States to carry out more than 260 projects. Structural reforms are not only implemented to stimulate growth. They can also help make this growth more inclusive. Latvia is among the countries whose economy is catching up fastest with the EU average. Despite a decent growth rate over the last 5 years, Latvia is facing major challenges. Its population is ageing; emigration is draining talent out the country. 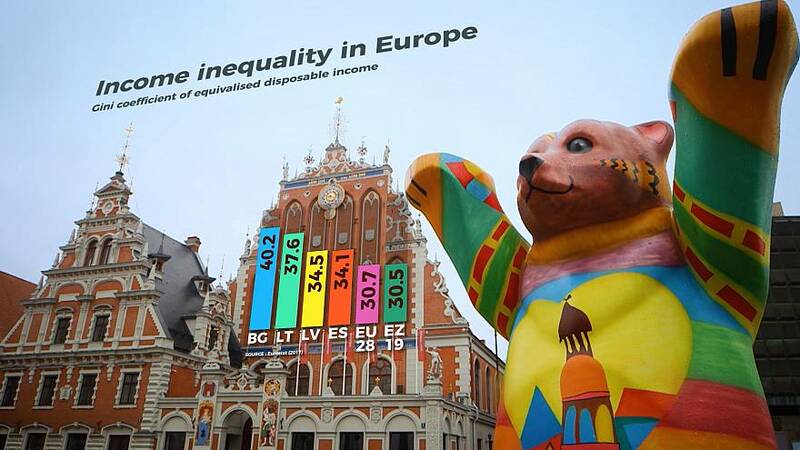 But most significantly, income inequalities are among the highest in the EU, even after redistribution. To tackle these issues, the country has recently undertaken a wide array of structural reforms. Such as in the education system. In vocational schools, students can now spend more time preparing for their future career within a company. For students like Laura, getting a foothold in the workplace will help secure a job after graduation, but also give them access to better salaries. Another way to tackle inequality is through redistribution and the tax system. Up until last year, Latvia used a flat tax: the same rate for everyone. But that balanced in the favour of higher-income households while weighing heavily on the poorer ones. Since then, things have changed. Europe's economy is now in its seventh year of uninterrupted growth. But this year, we’re set to see that slow down significantly in the Euro-area. But how can structural reforms help boost growth? And how can we organise them to avoid a downturn? But why has the pace of structural reforms slowed down compared to some years after the crisis? “I think we have a lot more learning to do in terms of timing and sequencing of reforms. I’ll give a quick example. France tried to increase the tax on diesel fuel. It hurts lots of people with low income living outside of urban areas who need their car. When most of the countries who made these reforms successfully to move towards cleaner energy and remove diesel fuel - they at the same time had a personal income tax reform, to make sure that the lower income people could actually see something that was revenue neutral for them and not suffer from it. Some structural reforms you can do better when an economy is booming and others you can do only when an economy is slowing. An example of structural reforms you should carry out when the economy is booming is lower unemployment benefits which provide an incentive for people to find a job more quickly. But you don't do that at bad times." As Europe looks to increase structural reform, one thing is clear, success in implementing them all lies in the timing, packaging and sequencing.